Anna is committed to providing outstanding customer service with clear consistent communication throughout your search or sale. Her clients find that her meticulous precision provides them peace of mind before during and after their transactions. Tell Anna your goals and wishlist and she works tirelessly to make it a reality. Just call Anna and have a chat. You'll find her friendly and genuine. She will take your needs and goals and meld them with her extensive resources to provide you with a superb real estate experience. Being a native Oregonian gives her a confident edge of understanding the complex real estate market in our area. She works closely with a number of local lenders and can provide referrals upon request. Take steps towards your next home today and give her a call today. Anna loves working with clients who prefer homes that will require some tender loving care in order to really shine. The need to find a home with good bones and genuine character is one of Anna's favorite tasks. With her extensive list of contractors and experts, you will experience unparalleled support and advice. No matter the parameters of your home search, Anna will work tirelessly to find your perfect home. 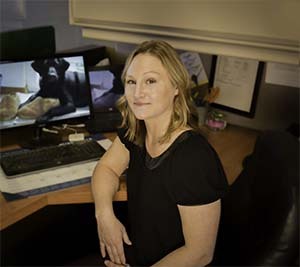 Her background as a long-term small business owner of Dolly's Pet Shoppe developed her integrity, work ethic, and marketing skills. Her genuine positive attitude and smile coupled with an approachable demeanor make Anna easy to work with and achieve your real estate goals. After you have worked so hard to stage your home and keep it clean at every waking moment in anticipation of a showing, aggressively marketing your home across multiple platforms helps to create a buzz about your home and attracting multiple offers. Reach out to Anna and move towards the home you've always wanted.